Lower Back Pain: Men and women are equally affected by lower back pain, which can be a slight dull ache to a sudden, sharp pain. 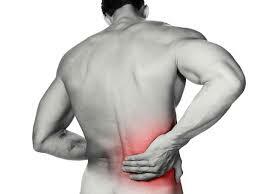 If you have back pain that lasts longer than six weeks, you should consider seeing a medical professional. Torn Ligaments & Tendons: Some of the most painful injuries stem from tearing muscles in the groin, hip, knee and shoulder. Some cases surgery is needed to repair the tear, followed by several months of physical therapy to recondition the damaged tissue. Tendinitis: Tendinitis is a common condition, it involves inflammation of the soft tissue around muscles and bones. Most often in the shoulder, elbow, wrist, hip, knee, or ankle. force the ends of your bones out of position….. Ouch! The cause is often from a fall or a hit, most often from a contact sport. Arthritis: A number of athletes deal with arthritis as a result of repetitive motion, such as swinging a racket or bat or throwing a ball. Arthritis can be treated with physical therapy to help ease some pain. Often one issue can lead to another if left untreated, so its best not to leave an injury untreated and do the specific exercises you are given to help strengthen and rehabilitate the injury or rest the muscle/tendon/joint if you are given instructions to rest. I know it can be frustrating, but 2 weeks off sport or exercise is better than 6 months. Listen to your body and your therapist!